Erasmus+ is the EU Programme in the fields of education, training, youth and sport for the period 2014-2020. Education, training, youth and sport can make a major contribution to help tackle socio-economic changes, the key challenges that Europe will be facing until the end of the decade and to support the implementation of the Europe 2020 strategy for growth, jobs, social equity and inclusion. What is the mobility project? 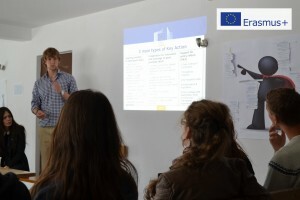 Organisations active in the fields of education, training and youth will receive support from the Erasmus+ Programme to carry out projects promoting different types of mobility. 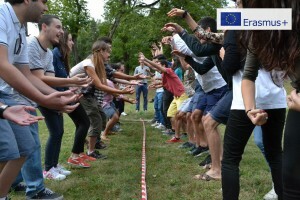 The EU funds youth exchanges which give young people the chance to experience another country and work together in a team. It’s an opportunity to gain skills in areas such as project management and to improve your foreign language proficiency. Youth exchanges take place outside the school environment and offer a structured programme (eg with a mix of workshops, exercises, debates and role play). The exchanges are open to young people aged 13-30 and last from 5 to 21 days. They can be in another Member State or outside the EU. Youth exchanges enable young people to discover new cultures and friends, develop new competences, and better appreciate values like solidarity and democracy. The learning process is based on non-formal education and involves at least two organisations (sending and receiving) from different countries within or outside the EU. 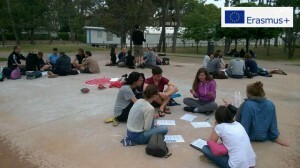 To participate in a youth exchange project you need to link-up with a participating organisation. It can be a non-profit organisation, association, NGO, public body at local, regional or national level or a social enterprise. It applies for youth exchange funding via the Erasmus+ National Agency in the country in which it is established. The agency can help you find an organisation to sponsor your exchange. Informal groups of young people active in youth work, but not necessarily in the context of a youth organisation, can also apply for a grant. Opportunities abroad allow youth workers to learn about cultural diversity and different practices in youth work in other countries. This experience helps youth workers to acquire new skills and to enhance their professional development. The organisations involved develop new learning methods, as well as long-term cooperation with their counterparts abroad. Job shadowing or periods in a youth organisation abroad. Funding is available for youth worker mobility from 2 days to 8 weeks. How to look for projects and other possiblities? Stay in touch with NGO from your area – follow their fanpage, webpage, activities. Search for projects in unofficial way – search for projects on Facebook – it’s easy!